Outdoor Research knew what they were doing when they put this jacket in production. 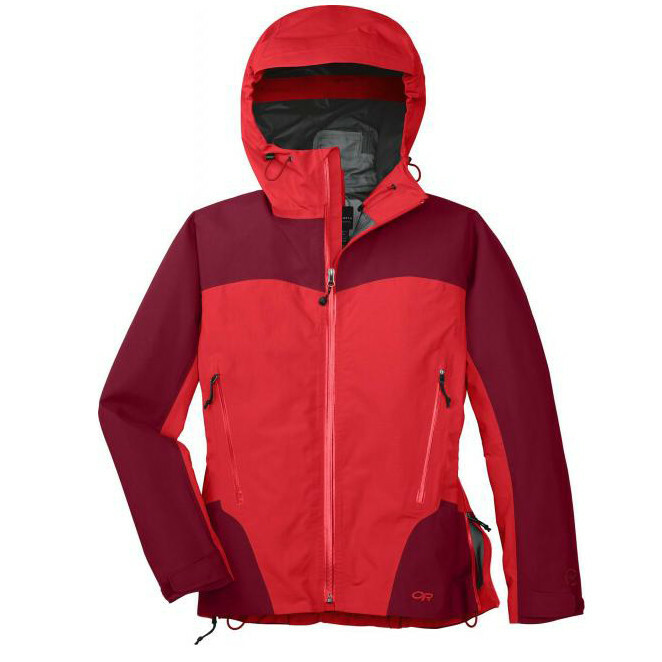 The 2012 women’s Enigma Jacket is a great all around jacket whether you are looking for a shell to hike the backcountry with or a day on the slopes. The Enigma Jacket is a softshell made of Gore-Tex to keep you dry but it won’t allow you to overheat. It’s made to be breathable and allow water vapors out, and at the same time waterproof. This jacket will repel the wetness of the snow when it’s dumping and not seep. This is a great all around jacket for a variety of conditions. The seams on this coat come with water proof tight taping and the zippers are water resistant. So no water is coming in. An added bonus are the adjustable cuffs on the sleeves. You can cinch them over your gloves making this jacket even more bomber. No snow is getting in on those powder days. Underarm zips allow you to cool off while hiking up Devils Castle or while skinning in the backcountry. A great feature to this jacket is the hood. The Enigma comes with a hood big enough to fit over your helmet. Say Goodbye To The JitterBug Bootpack!